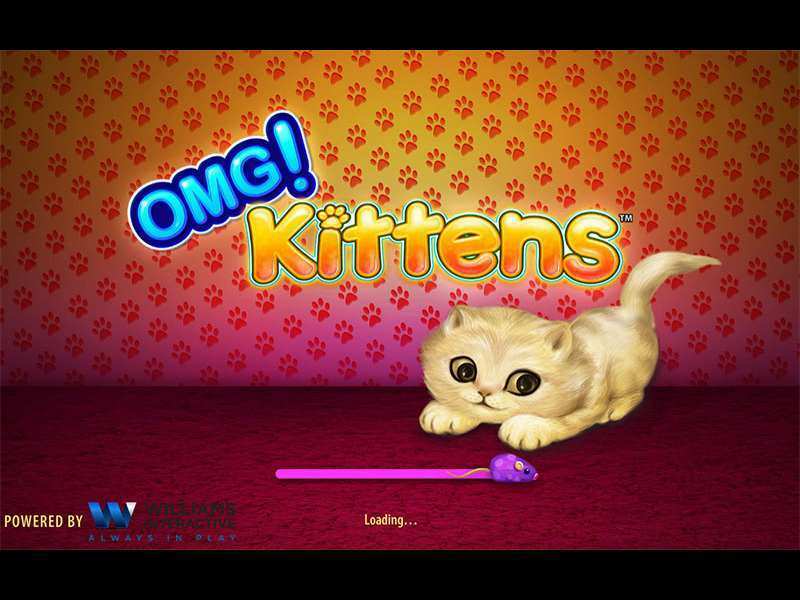 OMG Kittens is a slot machine game developed by WMS Gaming and relates the theme of animals and pets. The layout contains images of pet cats and so does the paylines. The game comes up with 5 reels, 3 rows and 40 fixed winning lines. Thus, the lines cannot be manipulated once locked before the spin is started. OMG Kittens doesn’t offer progressive jackpots but largely compensates with features such as high valued symbols and free spins. These high valued symbols work on various situations and for a specific combination. The game is available in different online casinos and platforms for both free and real money. Irrespective of the monetary aspect, the game is intriguing and engaging to say the least. The game forms 40 winning lines and 5 reels, and gives out scope to the gamblers to score and triggers to invest as much lines as possible to increase the chances of winning. The betting line is considered to be per one line calculations. This means the total bet is nothing but the number of payout lines multiplied by the total coins which has been bet on each line. The least bet value is 0.01 coins per line and the maximum is 2.50 coins per line. Thus, the total bet per spin is set at 100 coins and the highest payout of the game, which can be won is 2500 coins at most. The game contains a quickset panel box in the form of total bet box. This can be manipulated and can be changed according to the wish of the gamblers along with which, the lines will consequently be changed. On finalizing the line counts and wagers, the players need to click paw sign to play the game and eventually spin the wheel of fortune. The game provides a confirmed free spin features for the players who chooses to play with 40 pay lines. The maximum free spin will be given is 10x of the total bet. Characters such as the Bubbles, Tigers, Mr. Whiskers and the Fish Cat happens to be the important icons and the players can win rewards on arranging the cards from 3 to 5. These characters have their own inbuilt sub games with multiplier and free spins and to win big, the players need to fill the images of 3 of the kittens out of the four. Scatter in the game is none other than the picture of a cat attempting to catch a goldfish off an aquarium. On obtaining at least 3 of these symbols will result in earning of rewards. The game simply follows on the policy of more scatter, more is the money won. The other symbols have different properties, such as the bubbles ensures extra free spins of up to 45X on hitting 4 of these symbols. The tiger symbol creates a 10 x multiplier for the same number and Mr. Whiskers results in a bonus payout. OMG Kittens slots game can be safely concluded as a fun slot machine game created by WMS Industries, which offers players and gamers an experience of playing slot machine games in more of a relaxing atmosphere. The theme of the game itself suggests, containing pet kittens of various color, breeds and most importantly mood. The adorable OMG Kitten slot machine game invites the players to a new level of challenge by offering 40 active paylines only to be earned if played strategically. The game also provides scatters which on hitting the rightful combination, gives out cash rewards. Other features such as the three pet cats, which on appearing various times across the reels results in hefty rewards. The game requires no download or registration from the customer’s part and they can play free OMG Kittens casino slot machine game whenever they want without any monetary investments. Real money investments are also welcomed by numerous casinos across the globe in various countries such as UK and USA. 0 responses to "OMG! Kittens Slot"